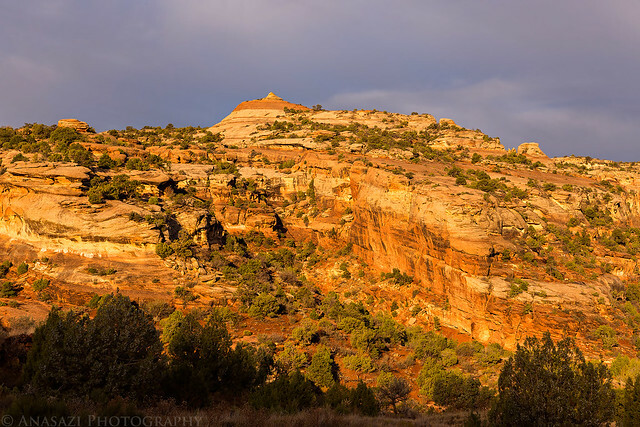 This morning I went on a new hike in the Colorado National Monument with Jackson and Chris from work. 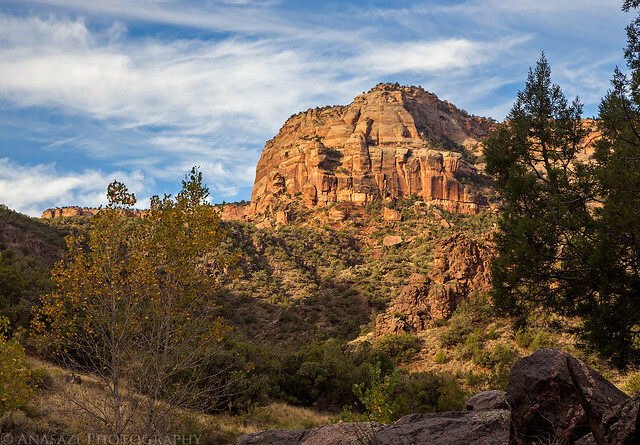 Our plan was to create a loop that combined parts of the No Thoroughfare Canyon Trail and the Old Gordon Trail while visiting a little-known arch along the way. 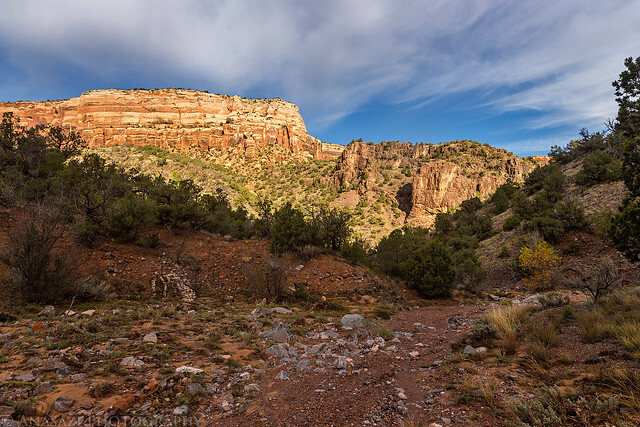 We would connect the two trails up by hiking up a short side-canyon and then scrambling up a steep gully behind the arch to the rim of the canyon. 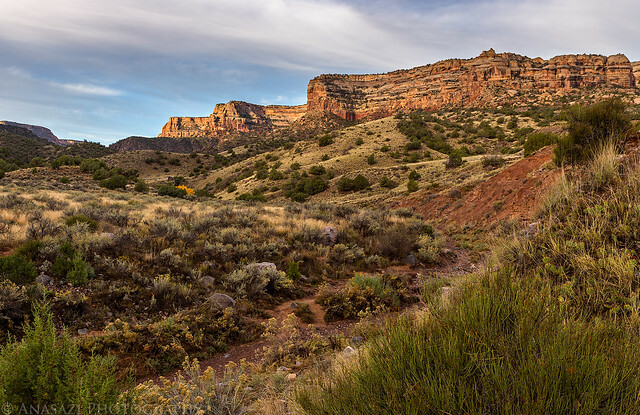 This route ended up creating a nice seven mile loop through the backcountry and visited Windowpane Arch (No Thoroughfare Window) and the remains of an old cabin. It was a great morning for a hike, minus the excessive humidity we had to deal with. 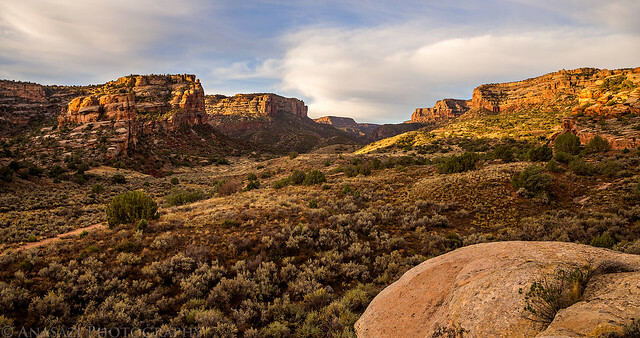 Sunrise on the Serpent’s Trail from the Devil’s Kitchen Trailhead before starting the hike. 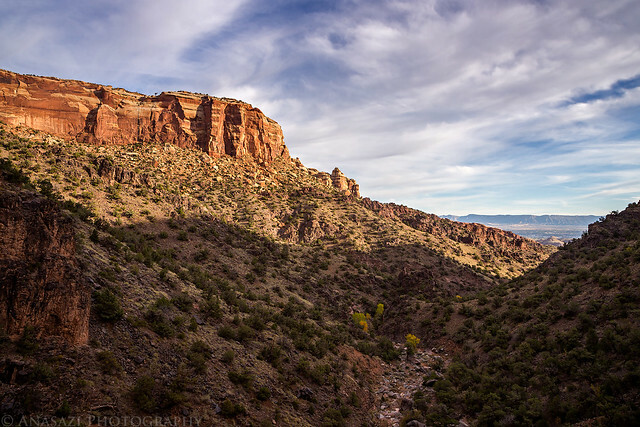 A beautiful morning in No Thoroughfare Canyon. Dropping into the wash as we hiked up the canyon. Plenty of beautiful scenes like this along the way. 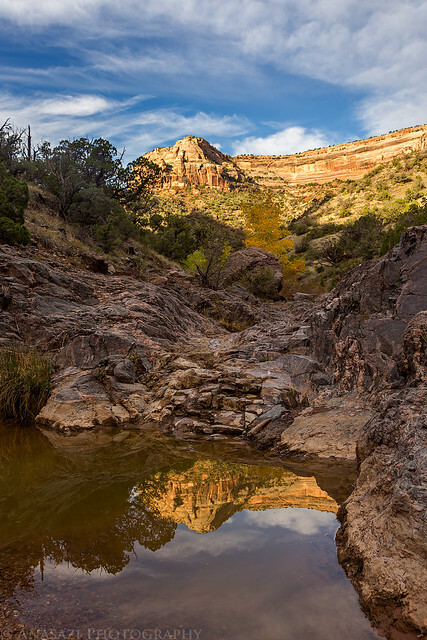 There were many small pools of water in the canyon from the recent rains, but surprisingly the First Pool was completely dry. 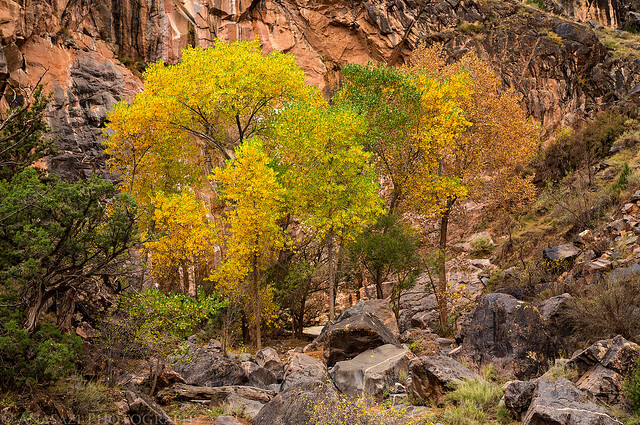 A rainbow of fall colors below the First Waterfall. Following the trail above the dry waterfall. The view back down No Thoroughfare Canyon from the top of the First Waterfall. 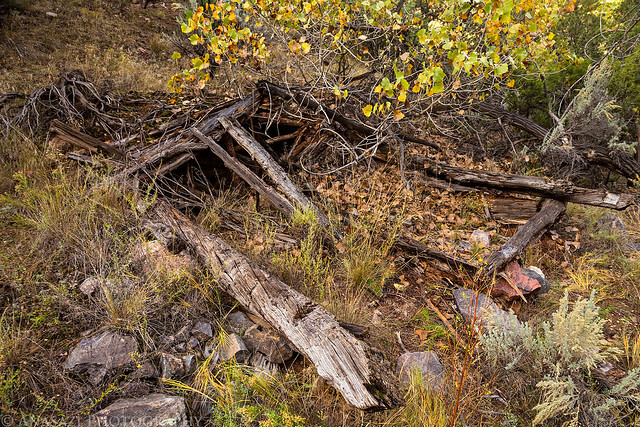 The remains of an old cabin or dugout up the side canyon we were following. View down the side canyon to the opposite side of No Thoroughfare Canyon. 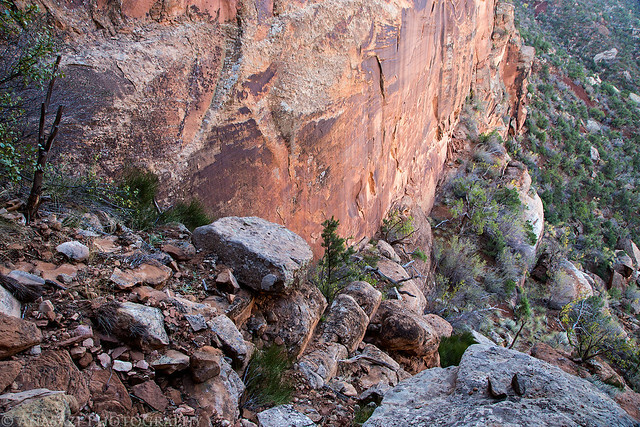 In order to reach the arch and the rim of the canyon we had to scramble up this loose and steep gully. 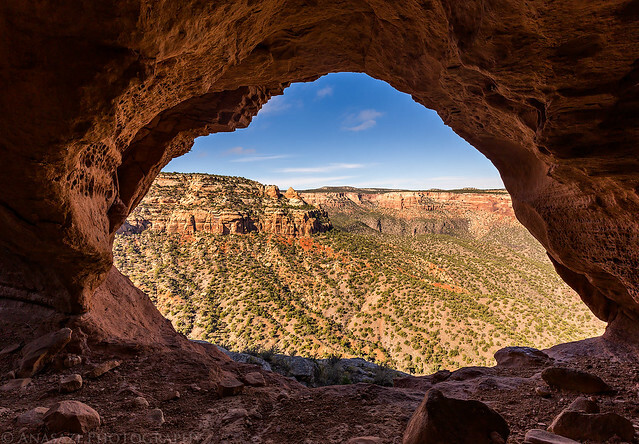 The awesome view from Windowpane Arch. It’s a pretty impressive arch from the inside, but difficult to spot from the outside and certainly one of the larger arches I’ve visited in the Colorado National Monument. 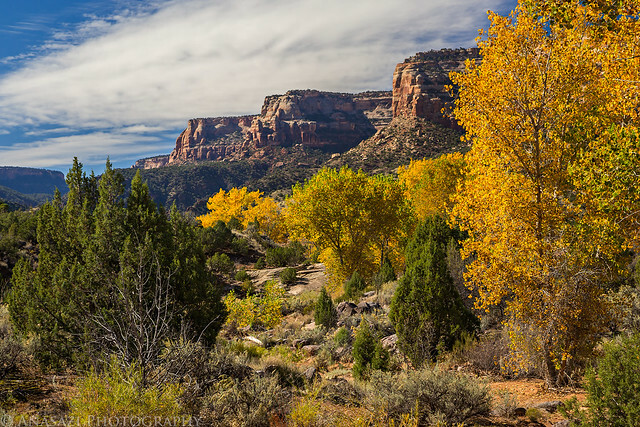 Fall colors in No Thoroughfare Canyon as we returned to my Jeep at the trailhead shortly after noon. I am including a GPS track from our hike below in case you would like to check it out for yourself. 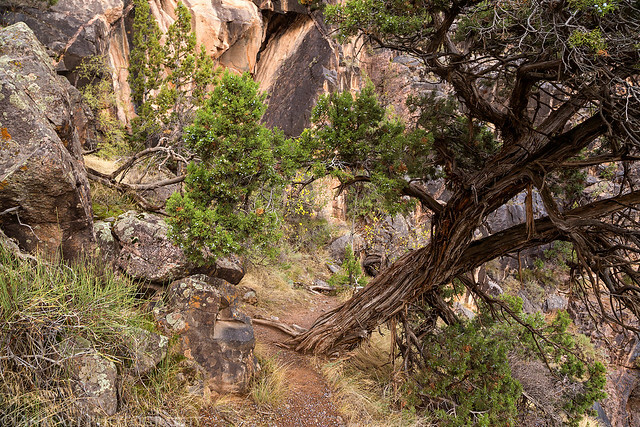 Just remember that the route between the official No Thoroughfare Canyon Trail and the Old Gordon Trail is all off trail and requires backcountry navigation skills. Our route may not be the best way, but it worked for us. John Otto was suppose to have had a dugout in No Thoroughfare canyon. I always just assumed it was closer to Devils Kitchen for some reason but perhaps the one you found is actually it? Looks like an awesome hike. Thanks for the post. I had never heard about that. This certainly looks like it was a dugout, so there’s a chance it was his?